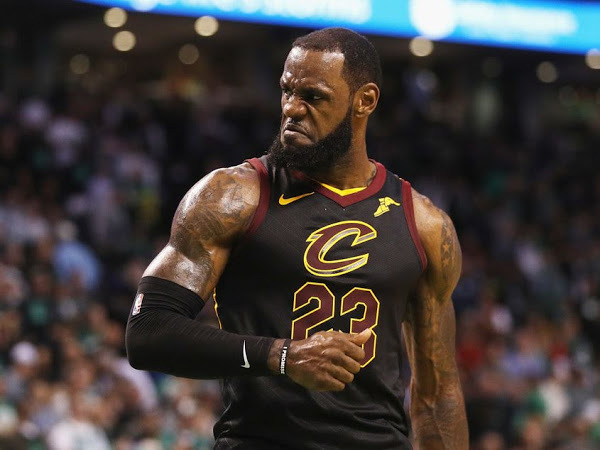 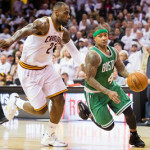 LeBron James and the Cavaliers sent a message to the Celtics in their final matchup during the regular season… they won’t relinquish the Eastern Conference’s top seed that easily. 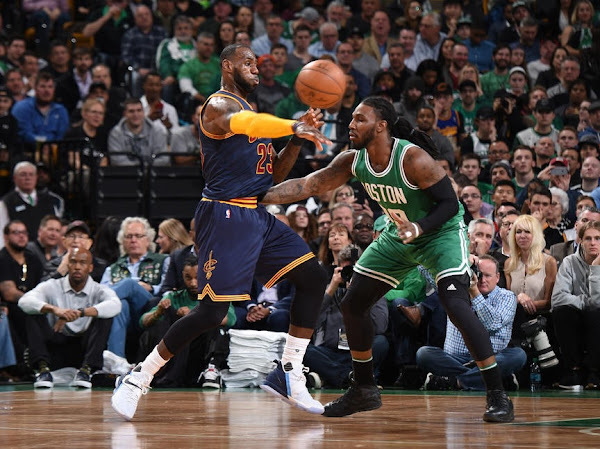 James had 36 points, 10 rebounds and six assists and the Cleveland ran past the Boston 114-91 on Wednesday night to move back into first place in the East. 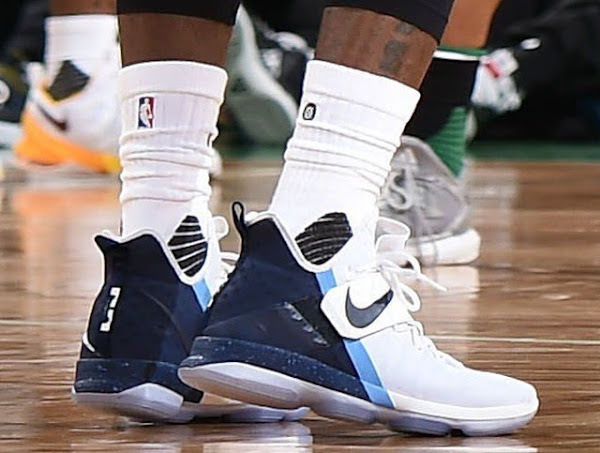 The King laced up a new colorway of the Nike LeBron 14 in a very rare look sporting a White front, Navy heel and Light Blue details. 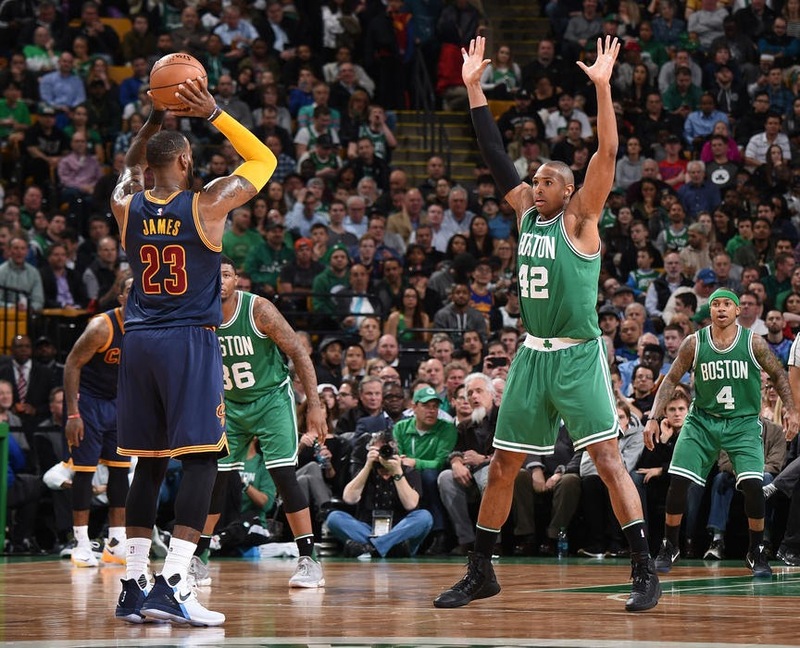 It’s one of those styles that takes advantage of the unique color blocking options available for the 14’s. 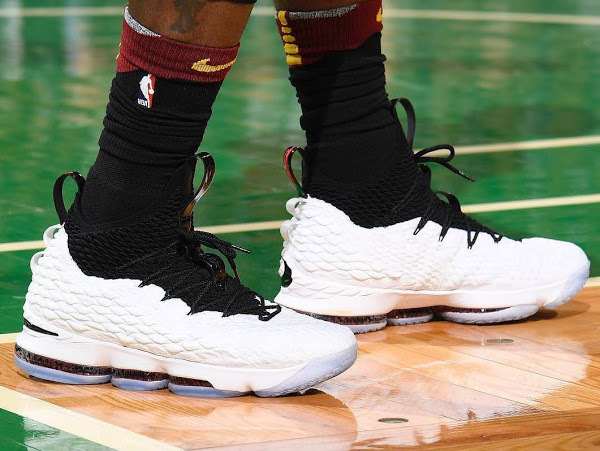 Sadly only one retail colorway – Out of Nowhere – uses that option. 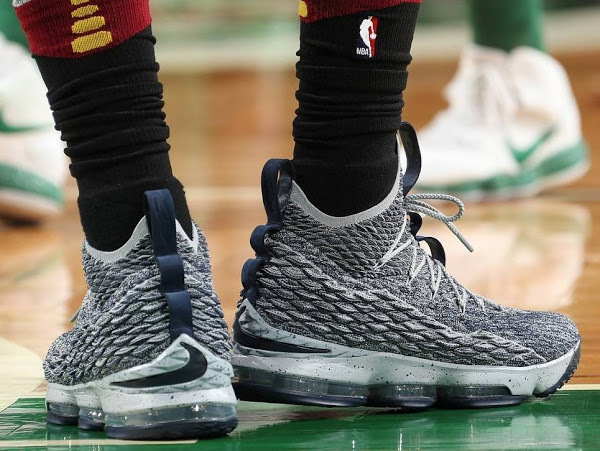 I’m definitely a fan of using different shades of blue on Nike LeBron kicks and it was very refreshing to see Nike Basketball cook it up. 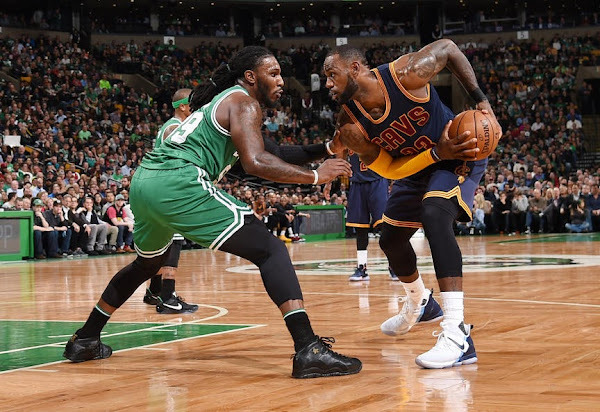 LeBron has now used 51 different shoes matching the number from last year, but we still have a couple of regular season games ahead of us and of course a lengthy, hopefully, post-season campaign.